Vegan leather in burgundy red with fringe to die for! Fringe is fabulous! And this fall, fringe is everywhere! It is one of the hottest fall trends this year especially, and a must-have for any and every wardrobe. This vegan leather crossbody bag will be your favorite fall accessory. 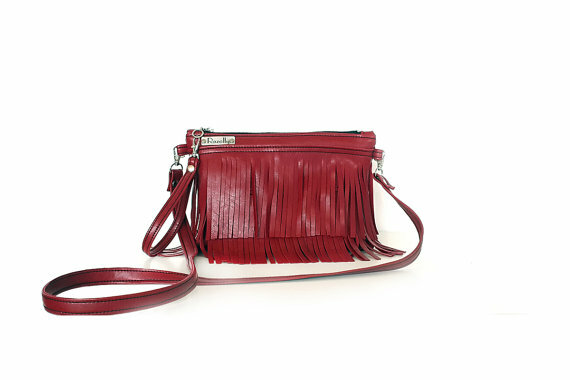 With its fantastic fringe and gorgeous red color it is a stunning purse that is also surprisingly versatile! On jackets, shoes and jewelry, fringe is having more than its 15 minutes of fame. It accompanies the boho craze but can also mingle with the southwestern-inspired style that’s equally as popular. 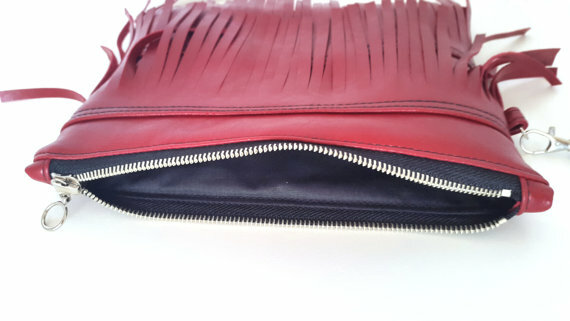 This leather purse is the perfect embodiment of the fringe fashion movement! It has two layers of fringe across the entire front of the bag, with the second layer hanging just below the bottom of the bag. 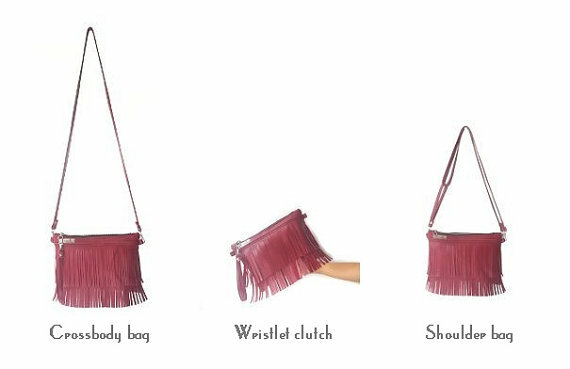 The fringe is made out of the same vegan leather that the entire purse is constructed from and is in a bright burgundy color. Perfectly match any boho or southwestern outfit! 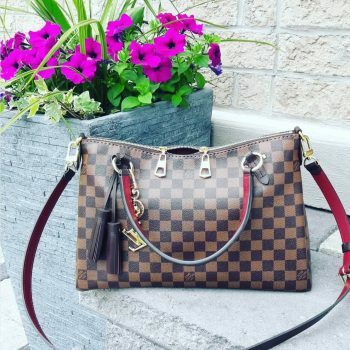 The versatility of this purse makes it stand out from normal bags. It can function in three different ways depending on your convenience and style. The shoulder strap is a total of 47 inches which allows it to be a perfect crossbody bag to fit with the boho theme. 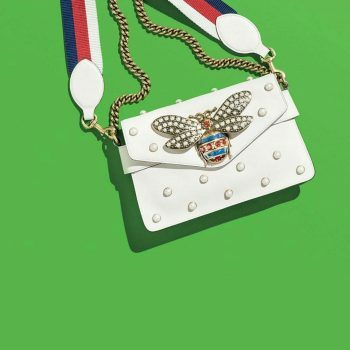 But the strap can also be doubled up to wear the purse on one shoulder, or the strap can be entirely removed so the bag can function as a clutch with an attachable leather wristlet strap. The straps connect with easy silver hooks so you switch up your bag from a day crossbody, to a night clutch easily. 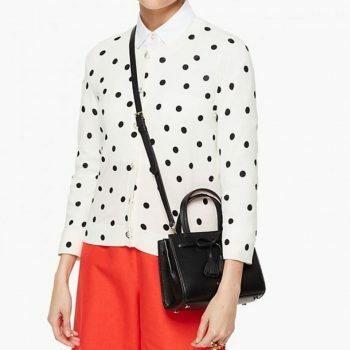 Your most versatile bag because you can wear it 3 ways! 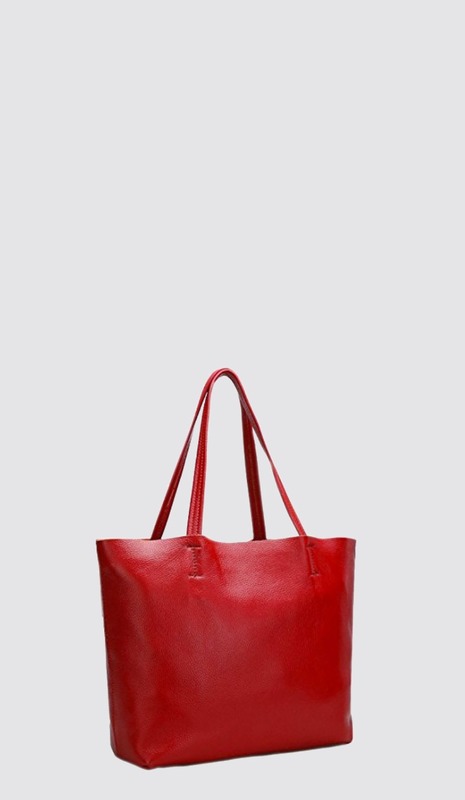 While soft vegan leather makes up the outside of the purse, inside the bag is lined with a black cotton fabric. A silver zipper runs across the top of the purse to ensure safe closure and matches the silver rivets that attach the shoulder strap. 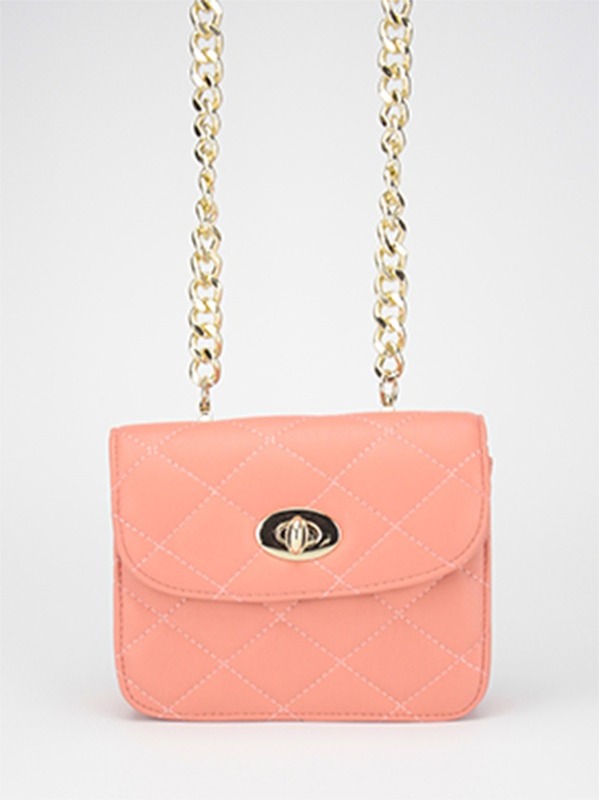 The size of this bag is ideal for a crossbody or when it doubles as a clutch. It is a little over 9 inches wide and just over 7 inches tall. It will easily fit your phone, wallet, keys and cosmetics. Black cotton lining inside with enough room for all your essentials! If you’ve been looking for a way to incorporate fringe into your life, this purse will put an end to your search! You’ll want to act fast because it is so perfect for fall, from the fashion-forward fringe to the exquisite burgundy leather. It’s an added bonus that you can wear this bag three ways to keep it fresh and exciting, and match every occasion. Soon to be your favorite purse! If you’re looking for other vegan leather accessories you can check out more at Razolly.